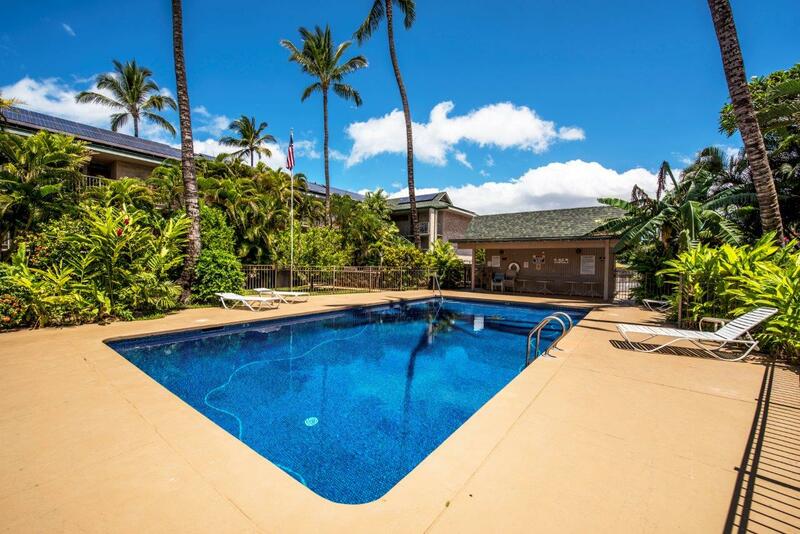 Kalama Terrace enjoys partial ocean views and privacy from the main Kihei road. 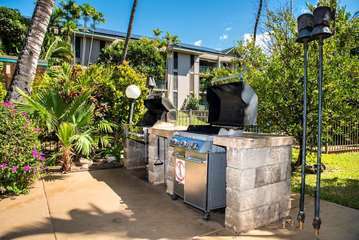 Its peaceful location and comfortable amenities, including an on-site pool and laundry facility, provide a relaxing environment for your ideal Maui vacation. Your unit features a full kitchen, cable television, free Wi-Fi, and a private lanai. 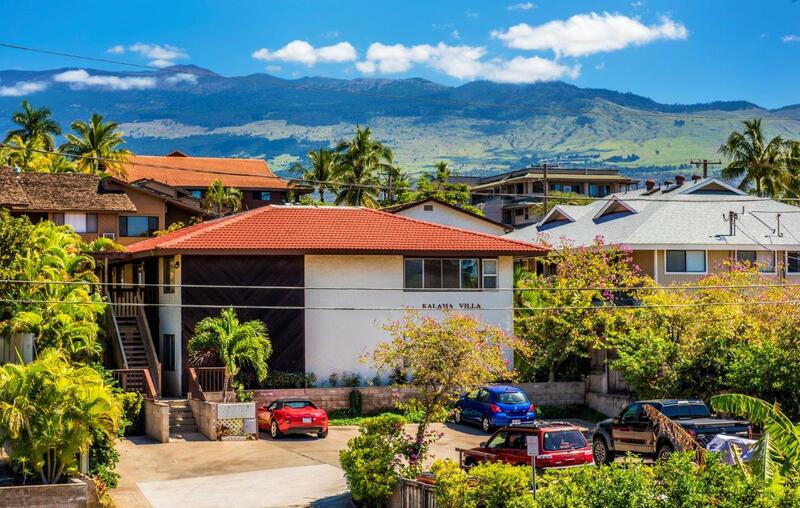 Only a short walk from the famous Kamaole Beach Park 1 and South Kihei Road, Kalama Terrace is situated in the ideal spot that combines privacy and accessibility to Kihei’s attractions. Additionally, you can find local cafes and bars nearby, including the South Maui Fish Company and Kihei Café. By car you can reach renowned golf courses, tennis courts, beaches, and more shops and restaurants within minutes. 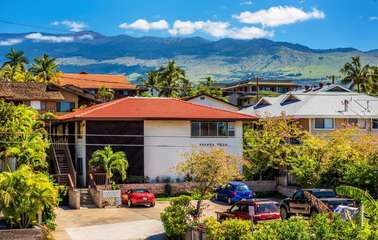 Kalama Terrace condos are approximately a 20-minute drive from Kahului airport. Book your perfect Maui vacation rental today! Living Room: This open room features a flat screen television surrounded by comfortable arrangements, including a cushioned chair and large sofa. Kick back and enjoy a movie on the flat screen with your family or sit around the large dining table and spend some quality time together. The lanai doors open up a refreshing ocean-breeze draft through the entire room. Kitchen: This economical kitchen comes fully-equipped for all of your cooking needs! With plenty space cabinet and counter space for preparing and storing your meals, feel at home when dining in your Maui condominium. Master Bedroom: This beautiful and elegant bedroom features a flat screen television perfect for winding down your day on the beautiful island of Maui. The ceiling fan and air ventilation make for a cool and comfortable stay. Lanai: Your private lanai offers partial ocean views and includes comfortable seating arrangements before the ocean breeze.